Eagle Flight 48" .40-Caliber Blowgun | BUDK.com - Knives & Swords At The Lowest Prices! You'll be ready to blister darts like a tribal boss right out of the package with this 48" Eagle Flight .40-caliber blowgun! The lightweight shaft is sturdy and carefully polished, complete with a hand-fitted grip, mouthpiece, quivers and other essential gear. Best of all, each blowgun is crafted and hand-assembled right here in the USA! Includes 12 target darts. Wow! $10 for this blowgun is a steal. 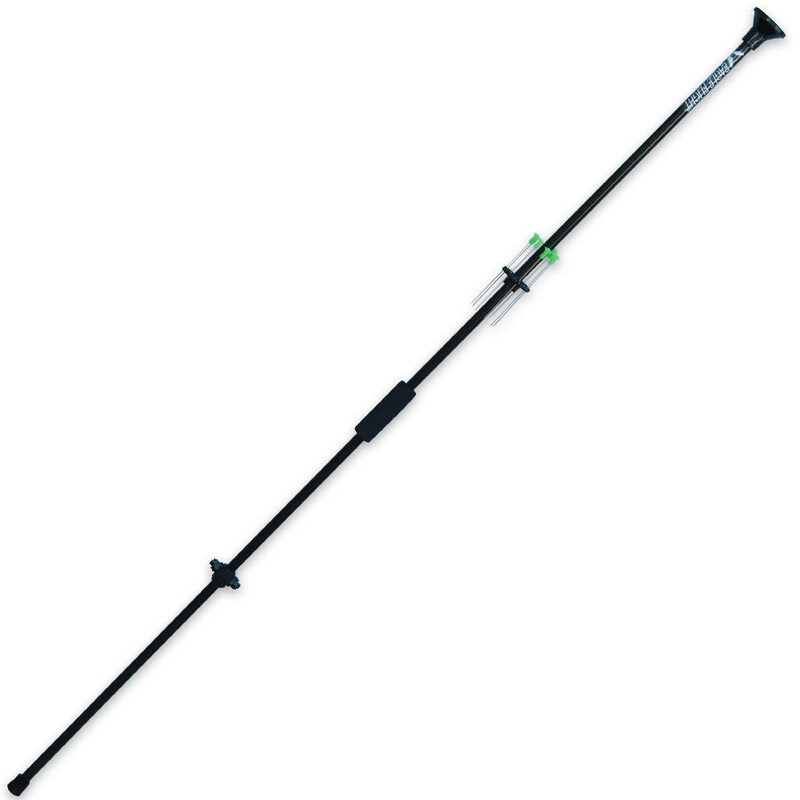 It is a smooth and powerful shooting blowgun. Be careful because the mouthpiece is not fixed and can come off. I will probably affix it with some rubber cement. Even with that it is still a give star. The barrel is not flimsy at all at four feet long. Did I mention it was $10? 48 inches of pure blow gun awesomeness! You can NOT beat the price. I was VERY impressed with Quality! Lifetime Warranty cant be beat. The price is RIGHT!! You absolutely can not be disappointed in this. Solid One Piece Tube. The target darts are devastating. Very Accurate even for a first timer like myself. Glad I got two. i absolutely love it, i can hit a wasp from 10 feet away, be nice if it had a strap to carry it with.